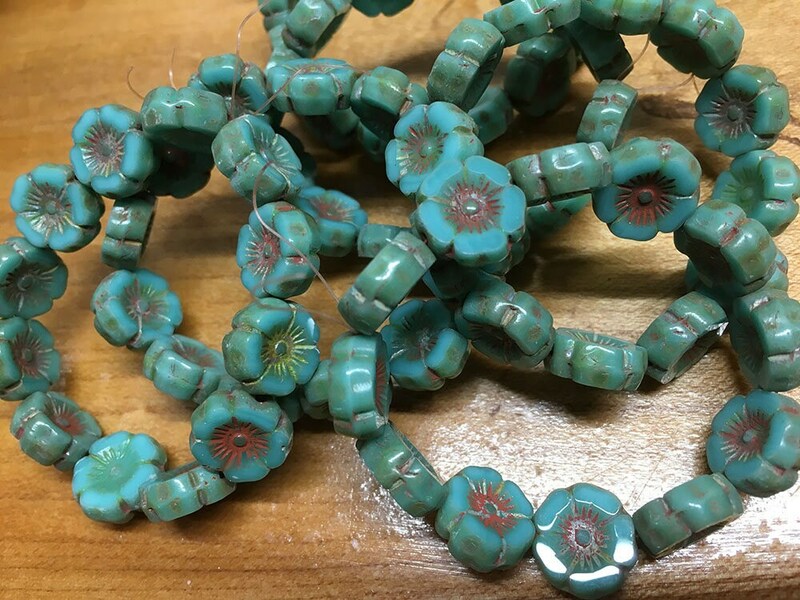 Blue Turquoise Hawaiian flower Czech pressed glass coin shaped table cut beads! Beautiful red picasso finish in the center and around the outside edges. Beads are 12mm. 12 beads to a strand!